PDP leader Mehbooba Mufti meeting Prime Minister Narendra Modi in New Delhi on March 22, 2016. 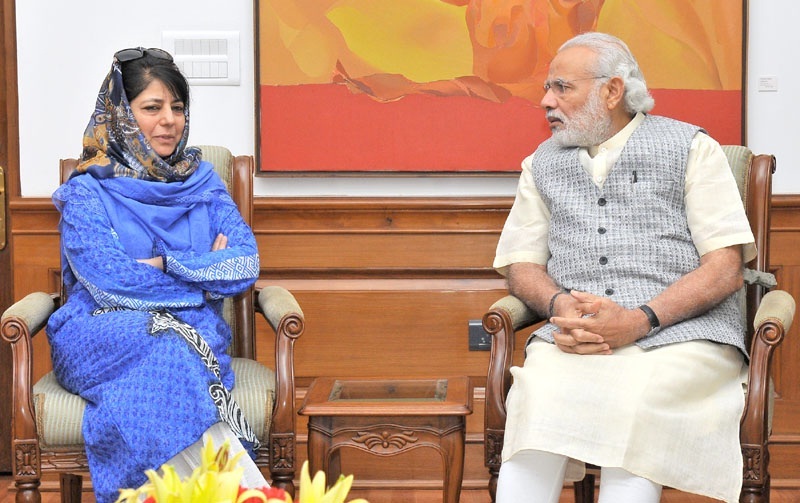 New Delhi: PDP supremo Mehboba Mufti today called on Prime Minister Narendra Modi to save her party’s relations with the Kashmir unit of Bharatiya Janata Party. After meeting Modi, Mehbooba told the media that she would be announcing her next move after meeting the PDP legislators. Today’s meeting was positive, she added. Earlier last week, the PDP chief had a round of meeting with BJP p\President Amit Shah.